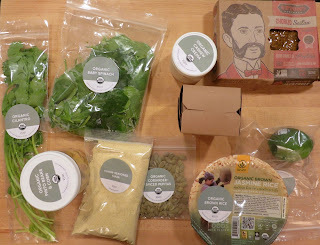 My second shot at these meal delivery services (maybe I should call them meal ingredient delivery services) was Green Chef. Green Chef has an option for vegan meals -- 3 meals that serve 2 people. That sounded right up my alley. There was a special that allowed me to get this plan for just $26 and that seemed like a great deal. I placed my order and waited and nothing came. Apparently this shipment got lost in the mail. So, we rescheduled. The second shipment arrived as scheduled. As I unpacked the box, I noticed that each ingredient had color-coded labels on the outside to identify it for the particular recipe -- well, that's easy! I tried the Chorizo Seitan Arepas first. This looked really complicated, but it turned out to be easy! Because the ingredients are included and already measured out and the recipe walks you through the prep step-by-step, it turned out to be super easy. 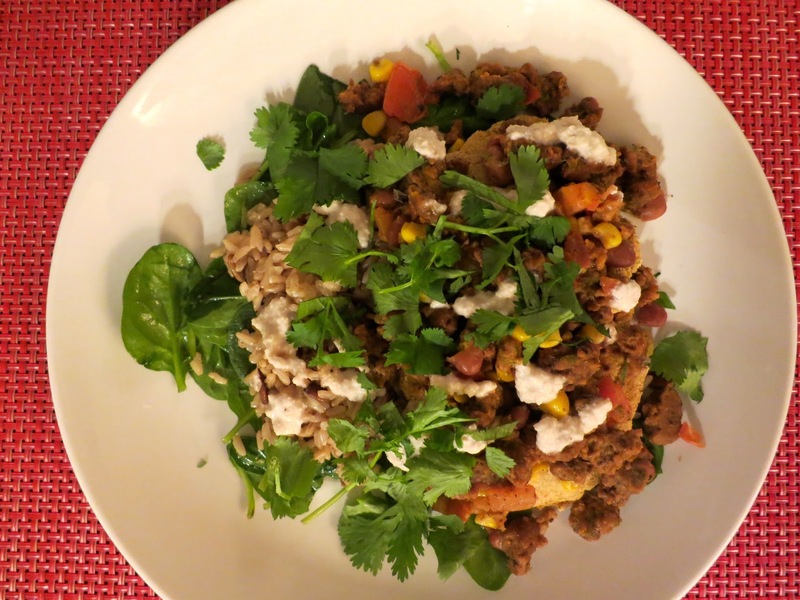 I made brown rice with coriander-spiced pepitas, spinach dressed in lime, arepas, and chorizo seitan with veggies in just 35 minutes. Talk about gourmet! 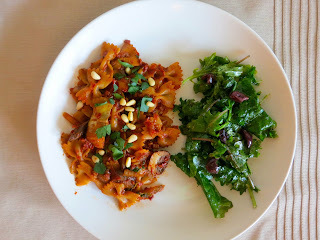 The next meal I tried making was the Sun-Dried Tomato Farfalle with a Kalamata-Kale Salad. This one was also pretty easy, but not as tasty. In fact, the kale salad with kalamata olives in a caper vinaigrette sauce was better than the farfalle. It was okay, but not nearly as mind-blowing as the previous dish. 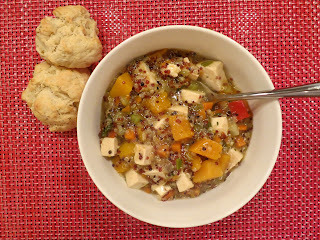 Lastly, I tried the Quinoa Veggie Stew with Black Pepper-Thyme Biscuits. It was to die for. In just 30 minutes, I made this delicious quinoa stew with squash, bell peppers, sprouted tofu, and fresh thyme and sage along with biscuits made with almond milk. It was fantastic! This meal service is the best one I've tried thus far. As with all of them, you get signed up for weekly delivery so be sure to cancel if you don't want it each week. Highly recommended. To try yourself, click here.